I receive a lot of questions regarding the difference between white noise and pink noise definitions. When we examine the definition of both terms, it will become evident on how to use both pink and white noise correctly. They are similar in sound producing activities but do it differently and both have different applications. In this video I take you through a discussion of what the key differences are between white noise and pink noise and why it’s important to test with them. White noise has to do with energy and it is an equal energy for each frequency. All frequencies across the human audible spectrum are represented by equal amounts of energy. Pink noise is all about octaves and pink noise has equal energy per octave. Octave bands are how we hear music and sounds. When we hear, we hear in octaves. If we have real good hearing, we will hear pitches within octaves, but for normal listening practices, we just hear in octaves. When a note, either a high note or low note increases by an octave, we hear this change. It works the same in both directions. When we look at the process to produce the original note and the octave jump that occurs from this original note, there is not much that we hear other than the octave band jump. We use the same number of frets on a guitar or the same number of keys on a piano to accomplish this octave increase. When we look at the number of frequencies within that octave jump, we discover that there are many frequencies involved to create that octave increase. Here’s an example. The difference between 400 Hz and 800 Hz is one octave. The difference between 5 kHz and 10 kHz is also one octave. However, in terms of frequencies the difference between 400 Hz and 800 Hz is only 100 Hz, whereas the difference between 6,000 Hz. and 11,000 Hz. is 5,000 Hz. The relative relationship is the same, but the actual difference mathematically is quite substantial. With white noise, there is a ton more energy in-between 5 kHz. and 10 kHz compared to between 400 Hz. and 800 Hz., because it spans a wider range of frequencies and they all contribute to the overall level per octave. The whole point of pink noise is to distribute the energy according to how we hear. The pink noise energy between 400 Hz. and 800 Hz. is the same as between 6,000 Hz. and 11,000 Hz. You can see that there is equal energy per octave. People mistakenly think that pink noise is somehow equalized or calibrated to the human ear’s response, but that is simply not the case. It is calibrated or adjusted to how we hear and how the human ear is designed to hear, namely, in octave bands. There are 5 main octave bands and you can see them represented in the graphic. When we increase by one octave, we expect to hear the right amount of energy increase. We use this “octave band familiarity” to calibrate or adjust our stereo systems. We also use this pink noise in calibrating the desired sound pressure level at the listening position. So, it’s not that pink noise is calibrated to the human ear’s frequency response. It’s just calibrated to how we hear, which is very well grounded in math. Each time the frequency doubles, we hear that as an octave. From one octave to the next, we expect to hear an appropriate amount of sound energy (depending upon the program material), which is why we calibrate our audio systems to pink noise. Octave bands are easier for our hearing mechanism to understand. On a practical level, this means you can run pink noise through your system and set your overall EQ, so you get a flat line on a typical RTA display. A flat line would signify equal energy at every octave. Some audio engineers feel that this can produce an unnaturally “bright” sounding system and do an additional roll off of 3 dB per octave above 4 kHz or so. They may just do one 3dB roll off at some frequency and leave it at that. The specific techniques vary, but the perceived need for it has more to do with the dispersion characteristics of the equipment involved, the measurement accuracy, and personal tastes than anything. You now know that white noise and pink noise are all about energy distribution. White noise is equal energy per frequency and pink noise is equal energy per octave. Pink noise is not calibrated to human hearing, it simply represents the energy divisions in which human hearing operates within. There is a correlation between the structure of our ear mechanism and the octave band hearing range, we humans operate within. White noise, with its equal energy per frequency is best used to test electronic instrument performance parameters, since it is structural more accurate. So I hope that helps you. 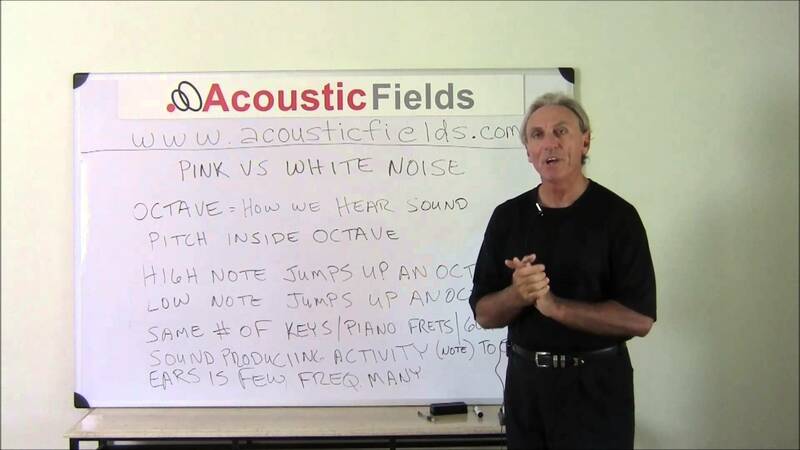 If you have any further questions about the difference between the definitions of white and pink noise, feel free to contact me as I am always on hand to help answer them. 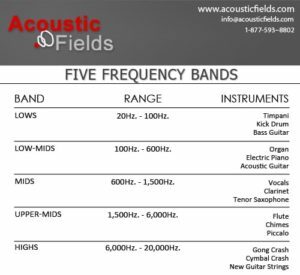 Leave them in the comments section or email me at info@acousticfields.com. 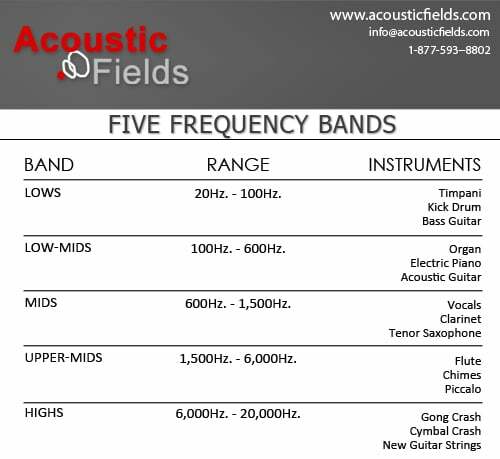 If you would like a free analysis of your room, please complete the form on this page www.acousticfields.com/free-acoustic-treatment-room-analysis-tell-us-about-your-room/ and we will run a free analysis for you. 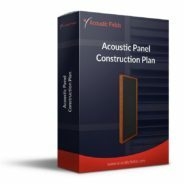 If you would like to learn more about room acoustics please sign up for my free videos and ebook by joining the mailing list here. I send room tuning tips and things for you to test in your room every Wednesday. 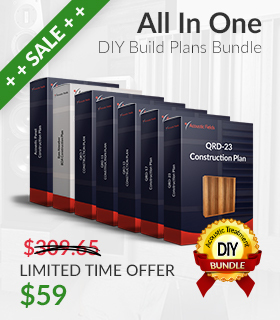 They are easy to follow and really help you enjoy more of your music. Hello Dennis, Thanks a million for your exposition on pink noise vs white noise. However, I would like some help from you concerning tuning into a concert hall acoustics. I am a live sound engineer, though old in the biz but not much knowledge on technicalities. I will therefore be very happy if you give me a very good response to this puzzel that I feel will be a breakthrough for me…. Most of the concerts halls in my city are tiled with hard ceramic tiles, I use a Behringer x32 digital mixer, however, I notice that even when I try all I know to reduce the echo and vibrations in the room nothing seems to be working. So my question is this: How can I tune the pink noise built into the mixer; how can it be of help to me regarding getting a better sound in the room and eliminate the echo and vibrations that sometimes create a big low frequency buzz which is most times due to “over eq” of the overall sound. 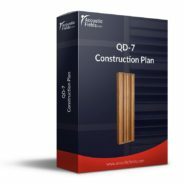 Your issue is high reverberation times due to large room volume and density of surface area materials. You need to lower the reverberation times within the room. There is no electronic correction for this issue. A client of mine reported a profound shift in cognitive focus when exposed to static from a radio. He usually fights to fend off negative thoughts and feelings after years of abuse. Music is sometimes the trigger for feelings of hurt and shame. He switched the station on the radio recently and came across static. He noticed an almost immediate switch in his brain. His anxiety became calm and he noticed that his ability to ignore nagging thoughts and feelings increased. He asked me if it could be a similar internal process as is used in EMDR. Would radio static be white noise or pink noise? Radio sound is neither white or pink. White sound is used to calibrate instruments because there are equal energies at all frequencies. White noise is predictable and consistent. Pink noise is an algorithm of sound that corresponds more closely to human hearing curves. Radio sound is hopefully full range energy that is impacted by many variables such as signal strength, receiver sensitivity, and a host others. 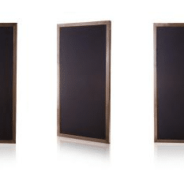 I think of white noise as fingernails on the blackboard. I think of pink noise as raindrops on a metal roof. The first is harsh, the 2nd is soft and pleasing. Hi Merle, Yes, that is a good analogy. Pink noise follows our human hearing response curves and is in more favorable octave ranges. White noise is cold, sterile, and empirical. Great article, but just one part confused me and Im wondering if its a typo or am I just stupid that I cant work it out. At first I figured it was a typo but I cant see where anyone else has noticed it so Im wondering if Im reading it correctly and Im missing something technical I dont understand. Phew…! Thanks I thought I was not understanding something here and wasnt trying to be a smart ar$$ but tonight I have just watched the Video as well and there is an area where I can see you cover the same frequencies as in the txt that confused me. However, you say that 400Hz to 500Hz is 100Hz difference so all was realised at that point where I figured the text I read last night may have been a typo of 400Hz being the difference but written as 100hz, but now I see from the Video that the typo was in the 800Hz that was supposed to be 500Hz and there I can see the 100Hz makes sense. So youve cleared that up thanks, however, now I’m even more confused because in the video you say that 400Hz to 500Hz is 100hz and that’s fine, but you then say that is one octave but I thought you must double the frequency to go up one octave.. Otherwise awesome video, well done..!